When you say you have no choice. You’re wrong! 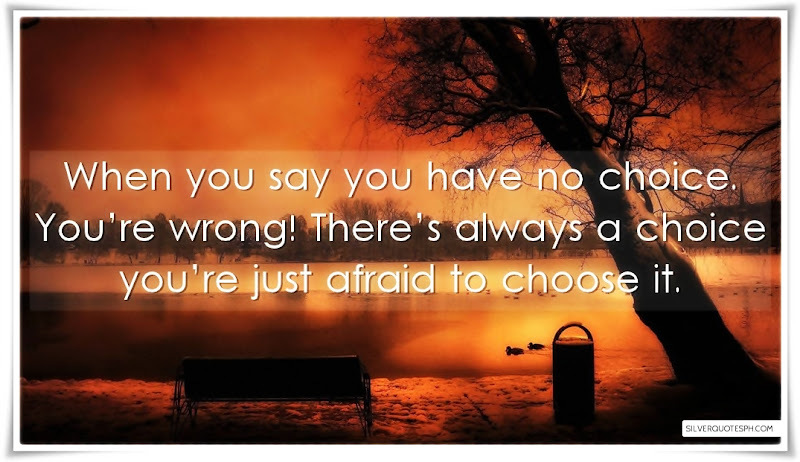 There’s always a choice you’re just afraid to choose it.